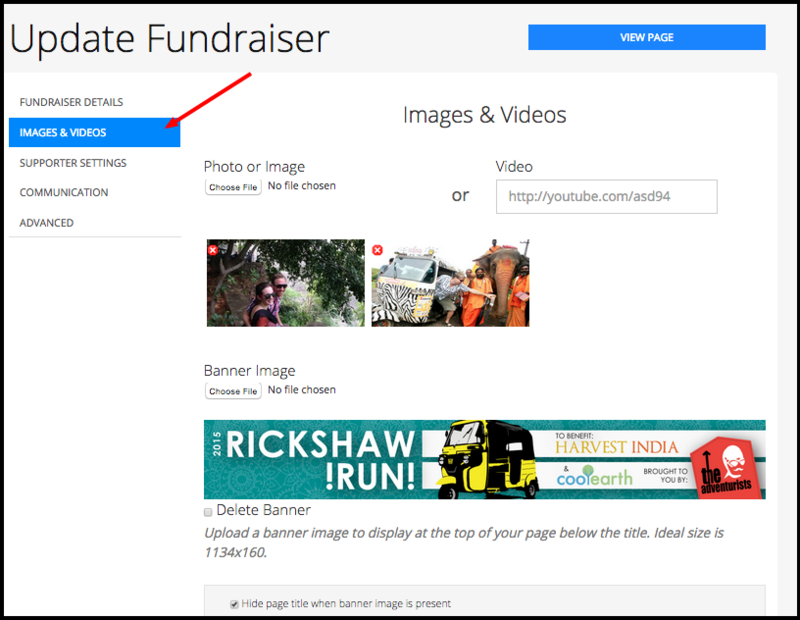 NOTE: Ideal photo sizes for your fundraiser are: height: 367px; width: 695px , or anything of a similar aspect ratio. You then can choose from image files on your computer and upload them into your page. You also can paste in YouTube or Ustream video links. If you wish to rearrange your images/videos, simply drag and drop to reorder them. 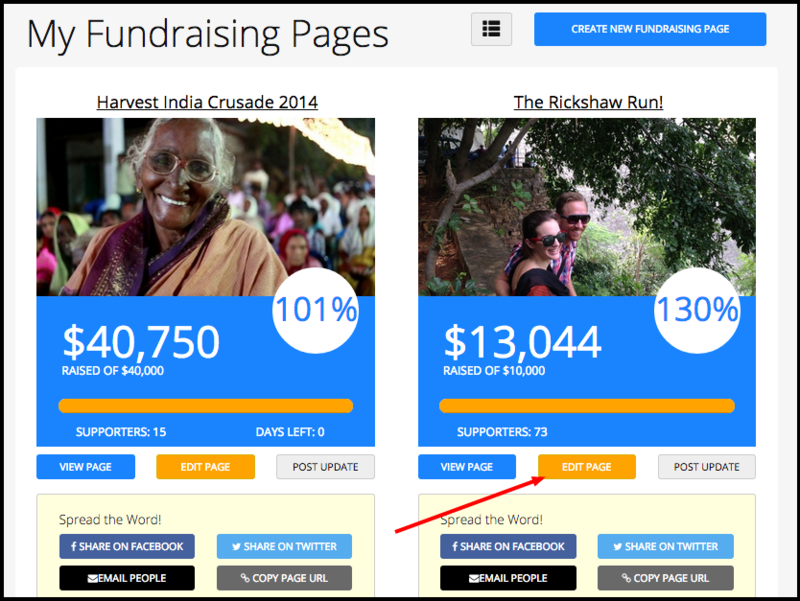 The first image listed is what will show on the page and be blurred as your background on your fundraising page. Ideal image sizes for the image uploader are 367x696 pixels or smaller.